The Beach! 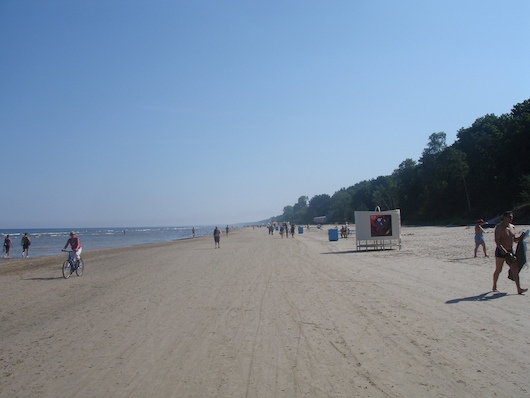 You can run for many km along wide and long Jūrmala Beach. with its excellent firm sand. Numerous beach access points. Multi-Use Path toward Riga. From the water park, a multi-use path heads east for 13 km toward Riga. See this route.